Small hand tools for making neat edges to concrete surfaces. Small hand tools for making neat looking joints to concrete pavements. 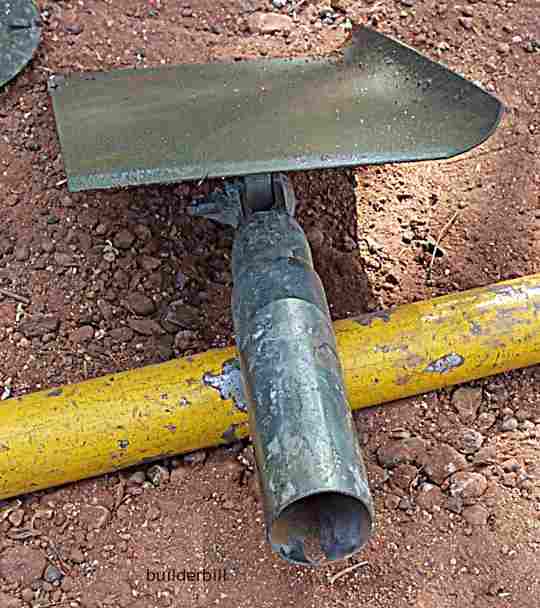 Above is an edging tool that is run around the perimeter of a slab when the concrete is still plastic. 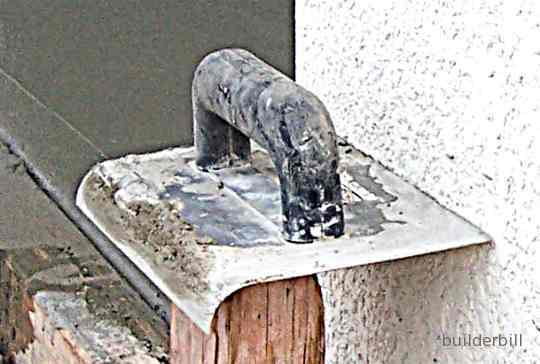 It gives a rounded corner to the concrete and it is 100mm wide. The edger is sat on one of the formwork pegs and in the background can be seed the wet slab that has just been edged. 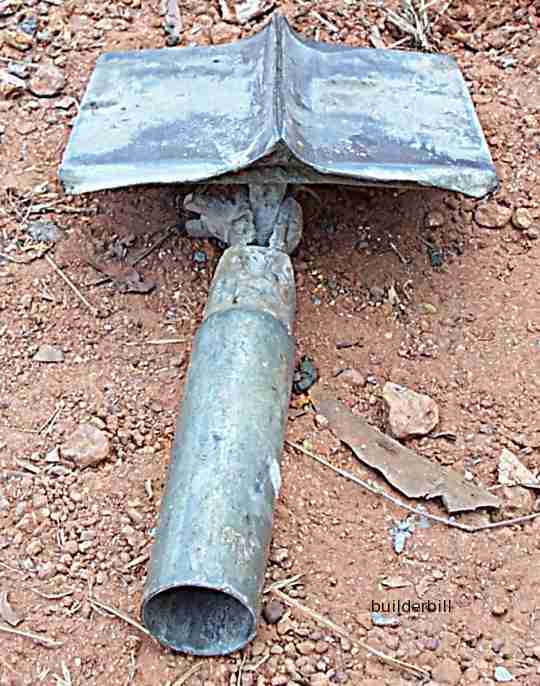 The edger above is for larger areas of pavement work and it is fitted onto a long aluminium pole handle. Above is a jointing tool that is also mounted on an aluminium handle.